Mini Reviews is a feature that I post whenever I want to review some books for you guys but don't have the words or the feelings to flesh them out into a full review so instead I do a mini rave or a rant and let the powers that be do the rest of the work. Fans of the Impossible Life by Kate Scelsa: (I received a version of this book for review. All opinions are my own) Fans of the Impossible Life is hard for me to explain. It definitely had it's ups and downs and I enjoyed it as a whole but I just wish that it had a little 'oomph' just something to really make me think 'wow'. I'm in a little slump right now so I'm looking for something that I find hard to put down, and until I really set my mind to finishing this book, it just wasn't it. Mira was an absolute treat, as was Jeremy and Sebby was, well, Sebby. The characters are truly their own people and that's a great thing to see. In terms of the plot, it was a lot different to what I expected and I think that a lot of the storylines weren't fleshed out enough for me to really get attached to the story an example of this is Peter. Peter is a character who is mentioned a lot and by the end of the book he has his own plot device but I don't think that it was really developed enough to get an emotion out of me.The constant changes in POV and switching between third, first and second person was a little jarring, in my opinion, and I might have enjoyed the story more if I felt that it flowed better from character to character. There are some undeniably beautiful quotes throughout this book, however, and I cannot fault Kate Scelsa's writing. 3.5/5 Stars. 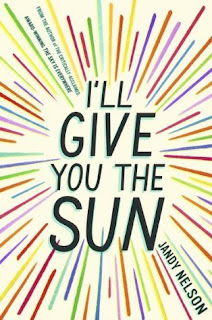 I'll Give You The Sun by Jandy Nelson: If I could give this book a 6 stars I would. I don't think there is a single star that I would hesitate to give to this book. I'd give everything to this book. Sometimes you read a book and it's simple and you love it. Then there are other books, books that take you on a journey, books that break your heart and make you feel like you're flying and books that give and take and give and take and take and give and give. I'll Give You The Sun is one of these books. I want to paste this book onto every skyline, every rooftop, every bus that I see. I want to yell and scream and cry and laugh and scream some more about how. much. every. damn. person. needs. this. book. in. their. live. 5/5 Stars. Open Road Summer by Emery Lord: Open Road Summer was the perfect read for me after an 8 hour road trip to Scotland. I was feeling summery, I was feeling in the mood for a fun, road-trip contemporary and that's exactly what Open Road Summer gave me. The characters were all wonderfully developed with distinct personalities and their own unique voices which, for me, is always something I look for in a contemporary. The road-trip/touring vibe of the book was extremely fun and it's not something that I've read outside of fan-fiction (note: this is NOT a bad thing). Some parts of the plot were a bit predictable and there were some points where the characters annoyed me but other than that I absolutely loved Open Road Summer. It was eloquent, fun, summery and made me giggle a few times. Perfect beach read. 5/5 Stars. 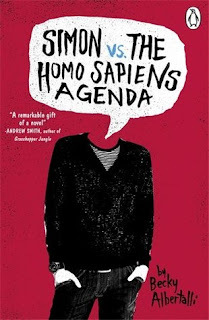 Simon VS The Homo Sapiens Agenda by Becky Albertalli: Admittedly, I started off disliking this book. And then, all of a sudden I was head-over-heels, irreparably in love with Simon VS. Absolutely everything about this book is perfect. It's beautiful, funny, fan-freaking-tastic and a holy awesome freaking time. I loved it. I cant stop grinning from ear to ear. If you haven't read this book yet. What are you waiting for? 5/5 Stars. haha why am i not in the least bit surprised you gave simon vs five stars, natalie? it finally arrived for me on overdrive and i can't wait to read it! loved hearing your thoughts about these books! i agree with everything you said about open road summer and damn, your review for i'll give you the sun is making me feel bad for not having read it yet. I REALLY SHOULD, SHOULDN'T I? I'M SO EXCITED FOR YOU TO READ SIMON VS I CAN'T WAIT FOR YOU TO LOVE IT (as you probably SHOULD and WILL). AND YES YOU SHOULD READ IT. IT'S EMOTIONAL AND DRAINING AND ABSOLUTELY WORTH IT. Fans of the Impossible Life was really not for me. There were aspects I liked, but overall, we just did not mesh very well. I mean, I'm glad other people are loving it, but it's not one that I am going to shout to the rooftops about and force people to read. Unlike I'll Give You the Sun, WHICH EVERY FREAKING PERSON NEEDS TO READ BECAUSE IT IS PERFECT. I was so scared going into that book, because it had been SO hyped up, and hyped up books scare me, but asdfghjkll. This book deserves all the love. And more. I have heard SO many good things about Emery lord's books, and I don't even know if any tof them are on my TBR. Oops. I think it's because contemporary is still low on my list (unless they're LGBTQIA+, which means they are always high on my list). Simon is a precious little Oreo, and I am so beyond happy that everyone loves him so much because he deserves it, the little pumpkin <3 I am so glad you liked this one!